In this DFY Snoring Content Bundle – articles, a report compiled of the articles, keywords, social media blurbs, and royalty free images, you’ll be able to give your audience more information about snoring. Snoring can cause people to have issues sleeping. This isn’t just about the people who actually snore. This affects their partners as well. So not only are the people who snore not getting enough quality sleep, but neither are the other people in the room. The good news is that snoring can be reduced and in some cases be stopped. This bundle will help you teach your audience about snoring – the causes, how to reduce or stop it with devices, as well as strategies they can learn. People would love to know how to stop snoring so that they’re not keeping up the people around them. And the methods for stopping snoring will be shown in this bundle. – Get It All For $17! 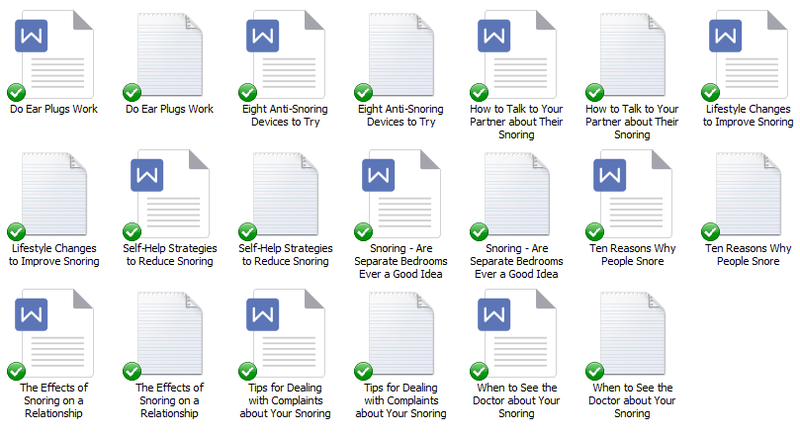 You’ll get a 27-Page report all about Snoring. This is a great opt-in because it talks about reasons why you snore and what you can do about it. This section is where you’re going to follow up with everyone who signed up for the opt-in report. You’ll be able to provide them articles on why you snore and how to stop it. 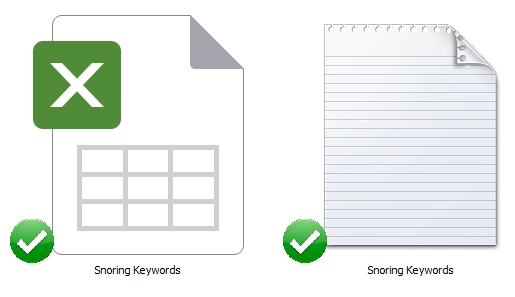 I’ve come up with 200 long tail keywords all related to snoring. You’ll find some of these are what people like to call low-hanging fruit keywords while others have more searches. DFY Snoring Content Bundle (Report, Articles, Keywords, Social Media Blurbs and Royalty Free Images) – Get It All For $17!